Headquartered in Walpole, Massachusetts, T.R. Miller Co. Inc. is rooted in a firm foundation, supporting an international clientel. Our state-of-the-art distribution and processing center, as well as our advanced corporate offices, are filled with energetic, high-achieving employees. Our family business really feels like a family! From the very beginning in 1975, T.R. Miller has successfully promoted businesses with quality, custom marketing incentives, corporate recognition programs and online company store programs. T.R. Miller is redefining the promotional products industry by building strong customer relationships and providing exceptional customer service. 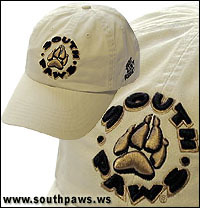 We pride ourselves by researching, innovating, and purchasing the newest and best promotional products. From the first day that we opened our doors to help our fellow corporate clients, we have developed an industry reputation for quality products, innovative ideas, reliable service, prompt delivery dates and extremely fair prices. 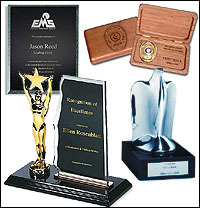 - Custom designed sales promotion items - promoting business with thoughtful gifts that carry your company name. - Creative service awards - providing Service Awards Programs for some of the best known corporations in the US. - Innovative recognition programs - developing and implementing innovative, high-quality recognition programs for business, associations, non-profit agencies, and service organiztions. - Quality premium resources - providing premiums as sales contest prizes, gifts, awards, direct mail teasers, or as tie-ins for new product promotions at the price you want to pay. - Brand guardian - How do we ensure that corporate identity is protected and implemented correctly? We will be active in promoting your brand nationally and internationally while ensuring the adherence to brand standards in every aspect. - Identity launches - In today's world of mergers, acquisitions and the constant need for companies to reinvent themselves, a positive identity launch has never been more important. - Sales promotions - For over 40 years, T.R. Miller has been driving retail traffic, generating brand excitement and earning awards through powerful, creative and highly effective sales promotion programs. - Pharmaceutical promotional products launches - Create explosive market identity recognition! Increase exposure and prescriptions, support healthy relationships between physicians and patients. -Turn-key solutions - The benefits to your overall merchandising campaigns are: A matching "look and feel" between the existing Corporate Website, electronic catalog and paper versions. Online sales transactions recorded to the same database as phone and mail orders. A unified front within all your sales distribution channels. - Interchange services - We harness the power of the Internet to maximize our business-to-business transactions.